I like making easy headbands with texture. However sometimes the yarn is too stretchy, sometimes it is not stretchy at all, or the person you are making the headband for is not there or it is just a gift. 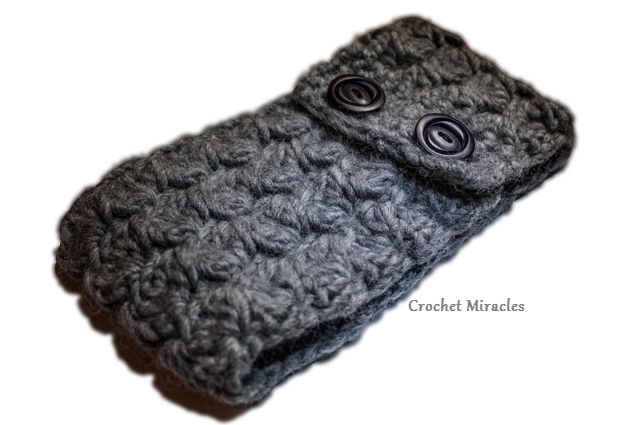 The headband pattern I'm posting is simple, yet has nice texture and 2 big buttons. I also used chunky yarn, so the whole headband is worked up very fast. The yarn used is Eskimo from Garn Studio with hook size 9mm (US M). Special stitch - the special combination of stitches that makes this amazing texture is very simple - one sc, followed by two dc. Gauge: The gauge is not so important here as you can always add more rows or more chains (if you want to make it wider). In my case 4 special st are 10.5cm/4 in wide. Start with foundation chain ot sc - chain 13 st (or any row of a multiple of 3 chains + 1). If you don't know how to do foundation chain you can check this tutorial here. Repeat from * to the end of row ending with 1 sc in the last st. Turn. 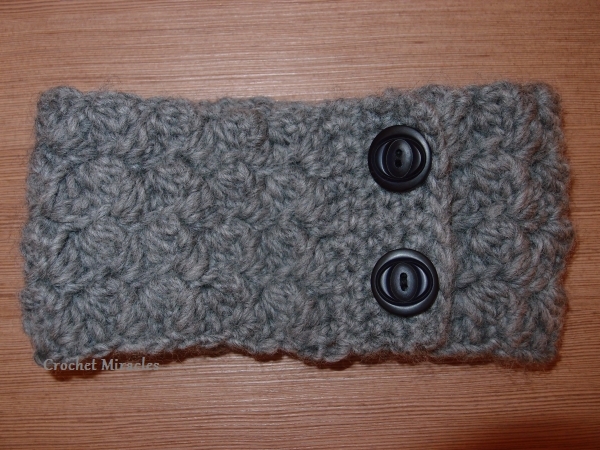 Repeat Row 6 till desired lenght is reached (you will add 3-4 cm/1.5in more with the button hole part). I made it around 50cm/20 in long. Sew up 2 buttons with suitable size, enjoy! You can make a matching scarf too - just follow the same pattern.